Open Clusters 2 NGC 609 in Cassiopeia and NGC 6791 in Lyra. Globular Clusters 4 Includes Palomar 11 in Aquila. Emission/Reflection Nebulae 13 Includes California Nebula in Perseus and Barnard's Loop in Orion. Dark Nebulae 2 Includes B33, the Horsehead, and B72, the Snake. Planetary Nebulae 8 Includes Jones 1 in Pegasus. Observing the DSC list is an excellent project for those who have completed their Finest NGC and/or Messier Certificate and who are looking for a challenging observing program. The official list can be found in the RASC Observer's Handbook. At least a 30-cm (12-inch) telescope is recommended to complete most of the list, although it can be accomplished with a 25-cm (10-inch) under good skies. A few of the objects will require access to a large telescope (50-cm / 20-inch). Several DSC objects can be observed in even smaller instruments, so these could be used to get started on the brighter objects. 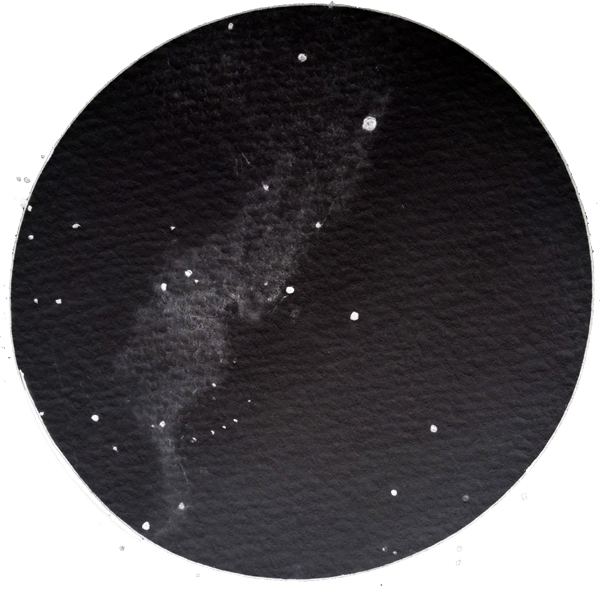 With all instruments, a nebular filter will be necessary to see the often visually faint glowing clouds of gas and dust of some objects. In the case of galaxy clusters, try to identify as many individual galaxies as you can, but also look for the collective background glow of the others at the edge of perception. The DSC observing program can be started during any season. RASC members may apply for a certificate using the application form at the bottom of this page. Tri-Atlas - by Jose Torres and Casey Skelton, free downloadable PDF charts contain all objects. Earth Centered Universe - by Dave Lane — useful PC Software. The Night Sky Observer's Guide (Volumes One and Two) - by George Robert Kepple and Glen W. Sanner contains descriptions and finder charts for many of the objects on the DSC list. Find out details about the Deep-Sky Challenge certificate here.